You will be surprise to find a lot of your ingredients in the receiving room are already Kosher! 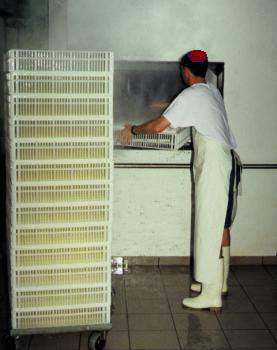 Many food factories are running animal and vegetable lines, or dairy lines at the same time. As long as the plant machinery is set in the proper way, employees aware to it and kosher rules are kept, it is okay. There are thousands of alternatives for animal ingredient variations. 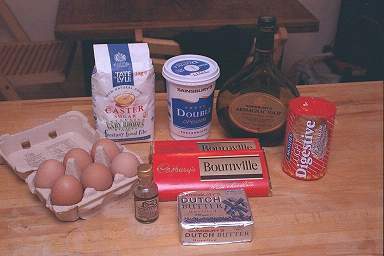 Furthermore, many ingredients known by one name can be of animal, vegetable, or synthetic origin. Good sources of additional information are the Consumer’s Dictionary of Food Additives, or an unabridged dictionary. All of these are available at most libraries. Animal ingredients are used not because they are better than vegetable-derived or synthetic ingredients but rather because they are generally cheaper. Kosher symbols and markings also add to the confusion and are not reliable indicators on which vegans or vegetarians should base their purchasing decisions. This issue is complex, but the “K” or “Kosher” symbols basically mean that the food manufacturing process was overseen by a rabbi, who theoretically ensures that it meets Hebrew dietary laws. The food also may not contain both dairy products and meat, but it may contain one or the other. “P” or “Parve” means the product contains no meat or dairy products but may contain fish or eggs. “D,” as in “Kosher D,” means that the product either contains dairy or was made with dairy machinery. For example, a chocolate and peanut candy may be marked “Kosher D” even if it doesn’t contain dairy because the non-dairy chocolate was manufactured on machinery that also made milk chocolate. For questions regarding other symbols, please visit our Kashrut Signs page. Certain areas in the factory must apply process named “Kashering”, which it means to clean the machinery. We clean it by mainly two ways: Hot water (Agalah) and Kashering with a flame (Libun). Kosher Certificate is granted by Authorized Kashrus Council such as OU for USA, or COR Kashruth Council of Canada. What a small kosher sign can do to you business? Foods conforming to Jewish religious law form an impressive market in the US where, out of every US$486 spent on foods, nearly a third is kosher. Further than that, over half the US$500 billion of food ingredients which carry certification from a US certifying agent is in fact kosher, with forecasts that the kosher market will be responsible for 14,000 production plants in 2005, over double the number in 1988.